One of the most successful productions in SSC’s history, The Comedy of Errors is directed by award-winning UC Santa Cruz theater arts professor, and former SSC artistic director, Danny Scheie. Scheie’s production was first presented by SSC in 1988, and later revived in 1993. “Danny’s original production remains to this day a favorite of SSC audience members, and is a great celebration of our history,” observed Artistic Director Marco Barricelli, now presenting his fourth summer festival at SSC. “This season of great plays created by great artists is the perfect celebration of our past, present, and future in honor of the 30th Anniversary,” Barricelli added. 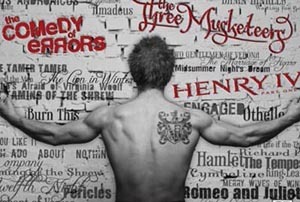 Running through September 9, the summer lineup also features an adaptation of The Three Musketeers by Linda Alper, Douglas Langworthy, and Penny Metropulos, based on the novel by Alexandre Dumas, and directed by Art Manke. A five-time winner of the Los Angeles Drama Critics Circle Award, Manke returns to SSC after directing Bach at Leipzig for SSC’s 2008 summer season. Playing in repertory--and sharing a cast--with The Three Musketeers will be Shakespeare’s Henry IV, Part One, directed by Scott Wentworth. Wentworth earned a Tony Award nomination for his work on Broadway in Welcome to the Club, and is a leading actor and director at Canada’s Stratford Festival. He previously directed 2010’s Love’s Labor’s Lost at SSC, and also played the roles of Nick Bottom in A Midsummer Night’s Dream, and Brutus in Julius Caesar in 2009. 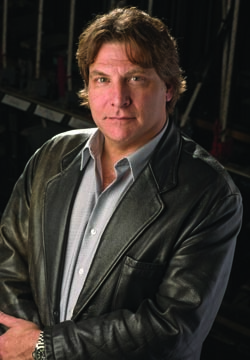 SSC Managing Director Kyle Clausen advises audience members to also check out the multiple free events that will accompany this year’s Shakespeare Santa Cruz Festival—ranging from backstage tours, to in-person discussions with the actors and directors. “Rehearsals are well underway, and this is really going to be an exciting season filled with hilarity, drama, and some amazing sword fights,” said Clausen. “We encourage people to take advantage of our free "Noon at the Nick" series, and pre- and post-show discussions to make the most of their Shakespeare Santa Cruz experience,” he added. For tickets and more information about the 2011 Shakespeare Santa Cruz summer festival, go to shakespearesantaccruz.org or call the UCSC Ticket Office at (831) 459-2159.